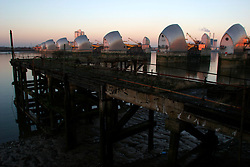 UK ENGLAND WOOLWICH 18DEC03 - General view of the Thames Barrier at Woolwich, south-east London. 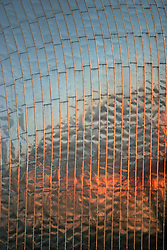 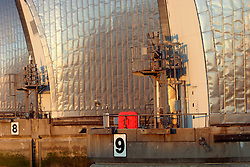 Built between 1974 and 1984, the structure protects the city of London from surge tides that may flood into London via the mouth of the Thames Estuary. 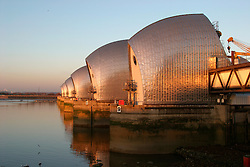 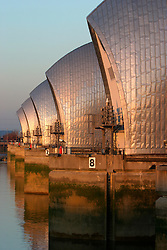 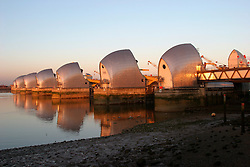 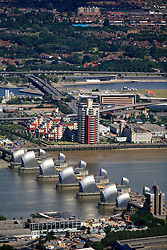 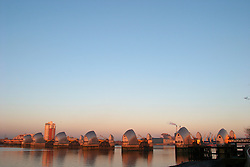 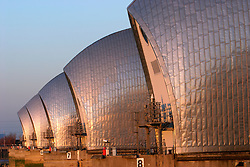 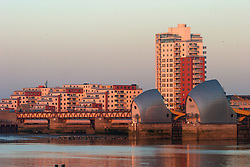 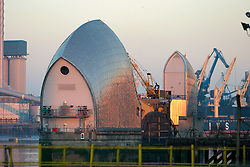 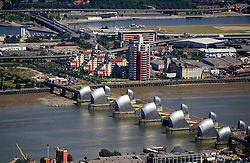 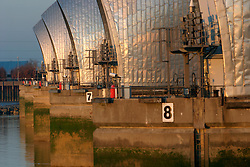 At the Barrier, the 1716 feet-wide river Thames is divided by nine reinforced concrete piers, to form six openings for shipping and four other openings.